Midway through the year, James Wan (The Conjuring) presented his new horror project. Hurricane It is nothing less than The Curse of La Llorona, an attempt to internationalize the popular Mexican legend. Wan is the producer of the film, but the director in charge is his friend Michael Chaves (Chase Champion), and will star Linda Cardellini (Freaks & Geeks), Patricia Velasquez (The Mummy), King of Thieves Sean Patrick Thomas (Halloween: Resurrection) and Raymond Cruz (Better Call Saul). 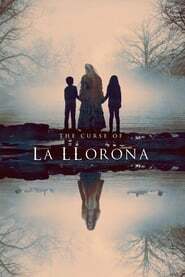 The story of The Curse of La Llorona takes place in the 1970s, in Los Angeles, and the character of Cardellini will be a widowed social worker raising her two children alone, who are harassed by La Llorona. This is the first promotional poster that lets us see this Hollywood Llorona for the first The Old Man & the Gun time.